Pancreatic cancer is a highly lethal disease and is projected to become the second leading cause of cancer-related death by 2020. 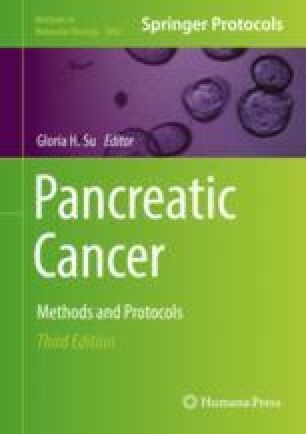 Among the different subtypes, pancreatic ductal adenocarcinoma (PDAC) is the most common type of pancreatic cancer. The genetic landscape of PDAC shows nearly ubiquitous mutations of KRAS. However, expression of KRAS somatic mutants alone is insufficient to drive PDAC. Redox deregulation may contribute significantly to KRAS-mediated PDAC. Thus, measurement of cellular reactive oxygen species (ROS) levels is essential to determine how oxidative stress affects mutant KRAS and modulates intracellular signaling pathways leading to the change of cellular functions and the development of PDAC. Here we describe the protocol for comparative measurement of several key forms of ROS, including intracellular and mitochondrial levels of superoxide as well as extracellular H2O2 and general cellular ROS, with oxidation-sensitive fluorescent probes using flow cytometry in pancreatic cancer cells or mutant KRAS transformed cells. This work is supported by the Start-up Funds from Stony Brook University [W. L], the Pilot Project Grant from the Department of Medicine at Stony Brook University [W. L], a P20 grant from NIH [5P20CA192994-02 to W.L as a coinvestigator], and the National Science Foundation of China [81370957 to Y.L].